Fantastic News this afternoon, Damsel is going to be in competition at this years Berlin Film Festival! It will also have it's international premiere there. David Zellner's 'Damsel,' starring Robert Pattinson and Mia Wasikowska, and Christian Petzold's 'Transit,' featuring German stars Franz Rogowski and Paula Beer, are among films in the running for the Golden Bear. The Berlin film festival on Monday announced eight more films to its competition lineup, adding mainly European art house titles to a program already leaning in that direction. David Zellner's Damsel, which will have its world premiere in Sundance, is one of the few U.S. titles in the running for Berlin's Golden Bear. The period drama stars Robert Pattinson as a businessman who travels West to join his fiancee (Mia Wasikowska) in the mountains. There are new competition entries for the 68th edition of the Berlin Film Festival hail from France, Germany, Ireland, the U.K. and across Europe, as well as from the U.S., Iran, and Paraguay. 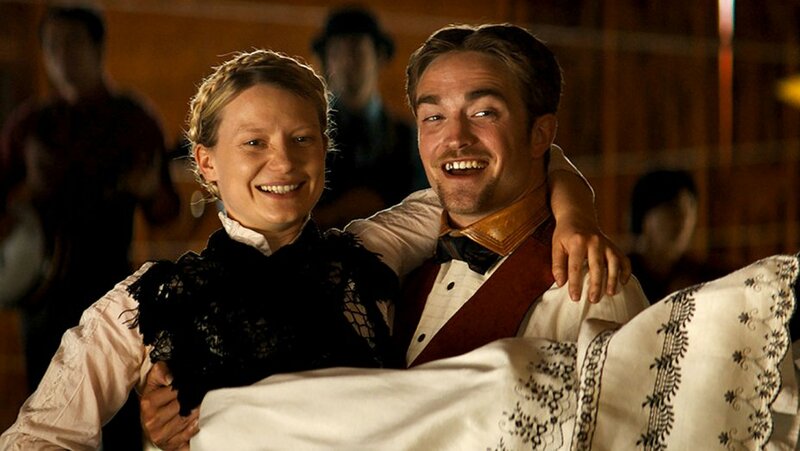 Pattinson stars opposite Mia Wasikowska in period Western comedy “Damsel,” which is directed by David and Nathan Zellner. It will have its premiere at Sundance and its international premiere at Berlin.